Despite this fact, since their conception, swimsuits have been made without nature in mind. Using man-made synthetic fibres like rayon, latex, polyester and nylon, each one derived from optimum evil: oil. The negative effects on the environment in the production of these fabrics are vast. From the mining of the oil to the greenhouse gasses omitted during production, and finally to the inability these fabrics have to decompose. To top it off, conventional swimwear is created by workers being paid slave wages in unsafe working conditions, making the whole story a tale of terrors. (including Victoria's Secret, J Crew, H&M ect ... ) are created by workers being paid slave wages in unsafe working conditions. The last time I shopped for eco bathing suits was about seven years ago. I found a brand online that had started making swimsuits from deadstock fabrics that had been thrown out. But there were about two styles and the swimsuit cost over $400. I simply couldn’t afford it at the time, so I made excuses to myself and bought 4 bathing suits from Victoria Secret instead, which, in all fairness, have lasted me until now. I’ve used them for lap swimming in chlorine pools, surfing, beachy adventures, and city sunbathing on various travels and at home. But they’re starting to give up on the life they once lived, begging for a happy retirement. 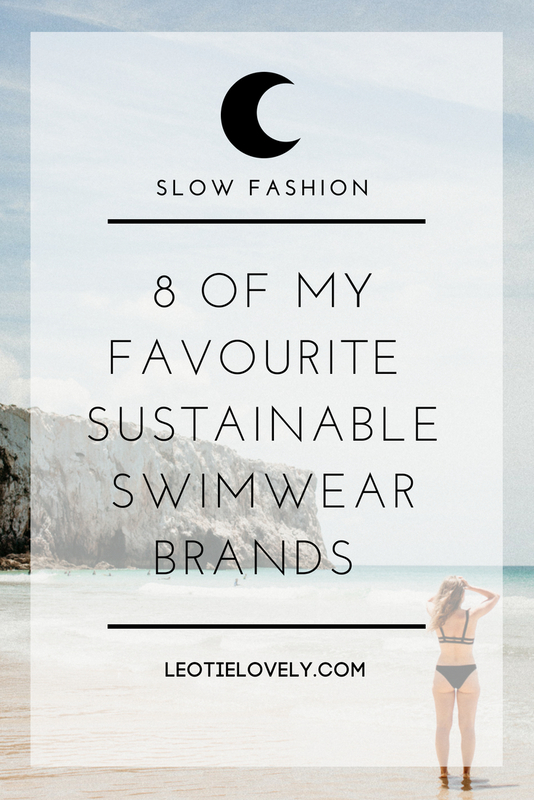 As the summer sun began to creep up this year, I started searching for sustainable swimwear brands again and was overjoyed to see how wide the selections now are. Brands are using deadstock, vintage, recycled, organic, or Oeko-tex certified textiles; eco-friendly dyes; soy, organic cotton, bamboo, and other natural fibres. These companies are also producing their collections ethically, donating portions of their profits to charities, and producing in factories which use renewable energy. 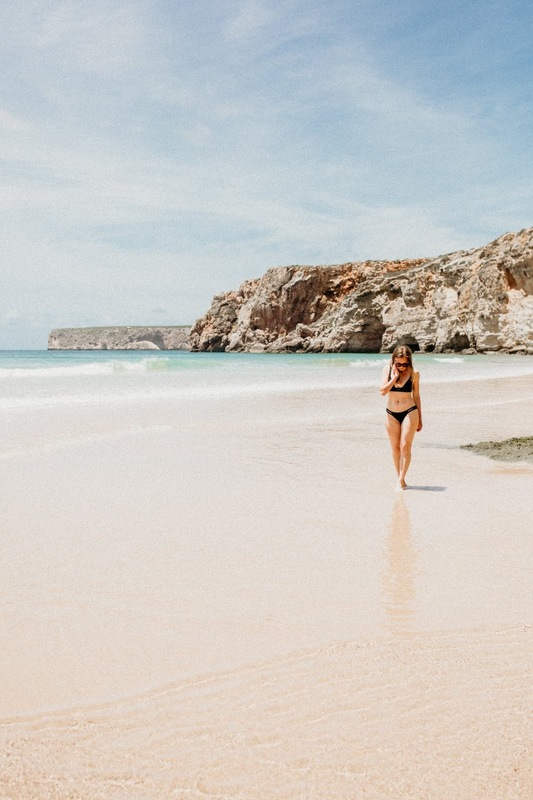 There are hundreds of sustainable swimwear brands now, which are aesthetically en par with their less conscious counterparts. I compiled a list of my favourite brands for ladies and gents to give you a taste, some direction, and hopefully some inspiration for the next time you need to modify your modesty maker. This female owned and operated online boutique, based in Winnipeg, Canada, ships globally and specializes in luxurious ethical and sustainable lingerie and swimwear. She carries two of the top sustainable brands, Vitamin A, ethically made in California, and Underprotection, created in Fair Trade facilities in India. Their suits are made up of eco-friendly fabrics or recycled fibres and printed using waterless digital printing in low energy factories. This brand is a great choice for surfers with sea bodies and bikinis which will allow you to move in the water without getting board rash. Each bathing suit is designed in Hamburg and produced in Stuttgart, Germany, then manufactured ethically in Italy. The suits are made out of PA (Polyamide), and 20% EA (Elasthan) certified by Öko-Tex Standard 100. Made with OEKO-TEX® certified Sensitive® FIT fabric, this French brand produces stylish bathing suits made ethically in Marrakech, Morocco. You can read more on the brand HERE. Their bathing suits are incredibly flattering and well made. Mother and daughter team of conscious creators producing garments and swimsuits by hand which are made to last. Their stunning swimsuits are made of 80% recycled and 20% virgin linen fully lined with 100% Econyl®, their hand-crocheted swimwear which is truly a work of art. 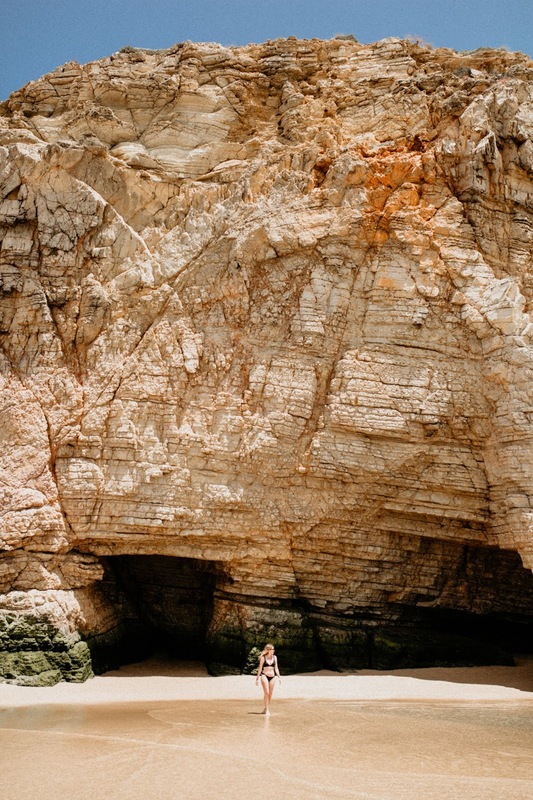 Crochet Swimwear handmade in limited numbers by Australian designer Chloé Dunlop. Each one is made with natural materials meaning it can biodegrade at the end of its lifecycle. WHERE TO BUY? On her HERE. This handmade collection of beautiful crochet bathing suits and accessories is created by workers paid fair wages in safe working conditions. The materials used are natural fibres and none are chemically treated. Manufactured in a green energy facility dedicated to the reduction and prevention of pollution, protection and preservation of green spaces, water treatment and monitoring of gas emissions, Amara is a credibly conscious brand. They use biodegradable, recyclable or reusable packaging. Their ITALIAN fabric is made up of 78% RECYCLED post-consumer materials as well as XTRALIFE LYCRA® fibres to extend the life of each piece far beyond that of traditional spandex products. Each bikini they make is built to last with quality and sustainability in mind. Cut, printed and sewn in the USA. Colombian made swimwear produced through ethical fair trade standards. The collection is made with Oeko Tex certified printed fabrics and in 2015 they began using recycled spandex swimwear fabric for some of their swimwear and bikinis. They also donate to charitable organizations including the LA Youth Network, Jean-Michel Cousteau’s Ocean Futures Society and Woods Humane Society. Such cute choices! The only thing is that crochet bikinis tend to stretch out when they get wet which, as you might guess, will quickly become a problem. I have a crochet bikini and I wear it to festivals but not in the water.